1.The pillow cover is made of high quality linen blend material. 2.This pillow case has an invisible zipper and all seams have been over-locked so it is easy to wash it. 3.Invisible zipper improves the appearance and provides easy insertion and removal. LIVING ROOM: Throw our cushion cover on your sofa, it is soft enough for you to lean against them comfortably while watching TV. BEDROOM: While your night reading time on bed, you can use our 26" pillow cover to support your back. OFFICE: prepare a 18" pillow in your office. You will need them to take a nap. The cover size 16" x 16" is perfectly for the pillow insert sizing 16" x 16" or 18" x 18". The cover size 18" x 18" is perfectly for the pillow insert sizing 18" x 18" or 20" x 20". The cover size 20" x 20" is perfectly for the pillow insert sizing 20" x 20" or 22" x 22". 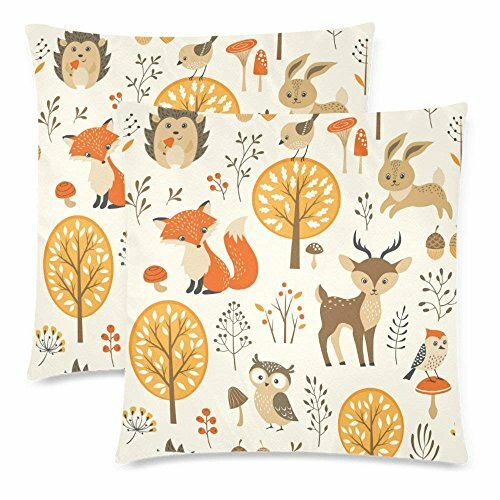 The cover size 24" x 24" is perfectly for the pillow insert sizing 24" x 24" or 26" x 26". The cover size 26" x 26" is perfectly for the pillow insert sizing 26" x 26" or 28" x 28". Made of High quality durable linen blend, comfortable to touch and lay on. Zipper is hidden and smoothly.